( http://www.amazon.com/Partner-Poems-Building-Fluency-Comprehension/dp/0545108764/ref=sr_1_1?ie=UTF8&qid=1420041311&sr=8-1&keywords=partner+poems+for+building+fluency ) but now and then we’ve been criticized by a reader who is led by the misleading title to think we don’t know our audience. Each year since I introduced the book, the post has been in the top 5 most popular for the year. In 2014, it was number 2 and number 4. I think the double ranking refers to different dates when I featured PARTNER POEMS. Here’s a poem from the collection called “Lollity Popity Day.” My thanks again to teachers who have used the poem to excite students to read and perform it. 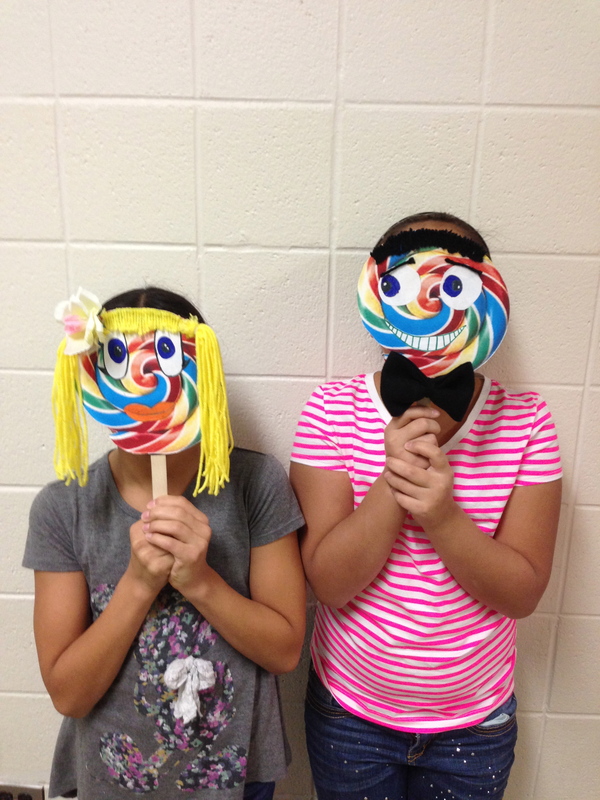 Here’s a picture by Patricia Cooley at Komensky School of two girls who made masks and entertained their schoolmates. I’m making a slight change in the poem to wish you more than a Lollity Popity Day. I wish you a Lollity Popity Year! It’s a lollity popity year. read a good bookity year. roll in the grassity year. talk with a friendity year. sit on a lapity year. play with your petity year. Here’s a link to the IRA (aka ILA) book that I mentioned a few days ago. The official announcement came out this week. In my chapter I embedded a video provided by Patricia Cooley, which shows two 5th grade boys at her school (Komensky Elementary Schoolin Berwyn, Illinois) performing my poem, “Brussels Sprouts,” in front of a class of kindergarten children. The boys have a ball and the little ones laugh and giggle all the way through. I loved watching the fun again. If you want to see it (again), click on Free Supplementary Video. 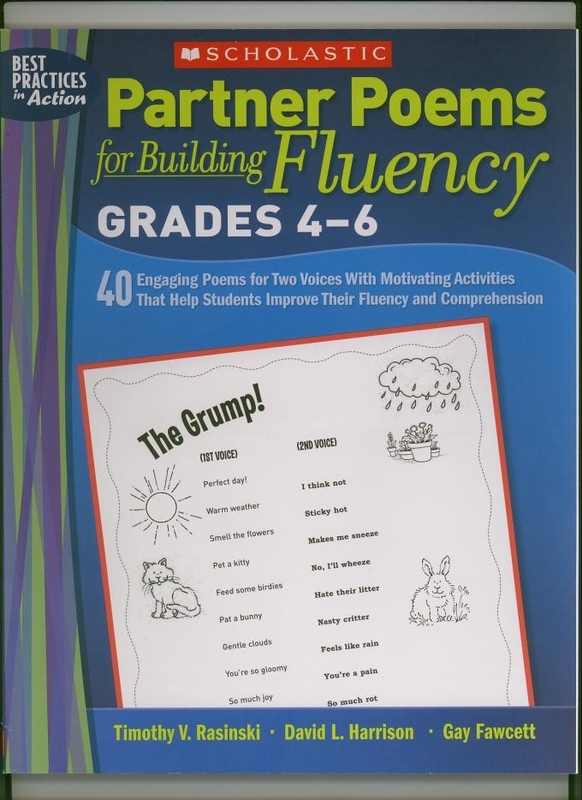 My poem for two voices called “It’s a Lollity Popity Day” appears in a book co-written by Tim Rasinski and Gay Fawcett, PARTNER POEMS FOR BUILDING FLUENCY, published by Scholastic. I should point out that the book was written with grades 3-5 in mind. At the last minute Scholastic realized that they had another book with the same title for younger grades so they changed the title of ours to read Grades 4-6. We’ve taken some grief over this from teachers who bought the book expecting material for older students. As long as you know to use the book for younger children, it all works out. The alternating voices build on the opening line. read a good bookity day. roll in the grassity day. I introduced the poem at this year’s poetry workshop in Honesdale. A few days ago one of the poets who attended, Patricia Cooley, brought it into her school in Illinois. Here’s Pat’s report. 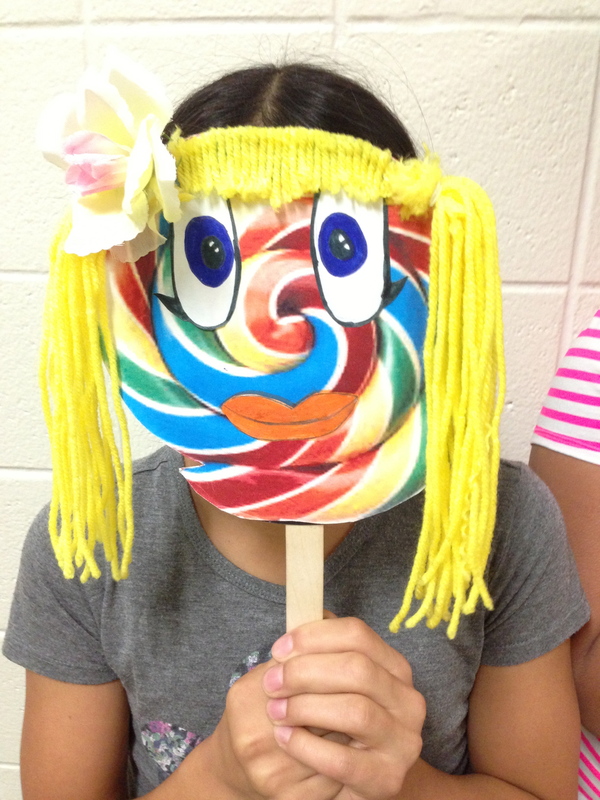 We had a Lollity Popity Day at Komensky School today! 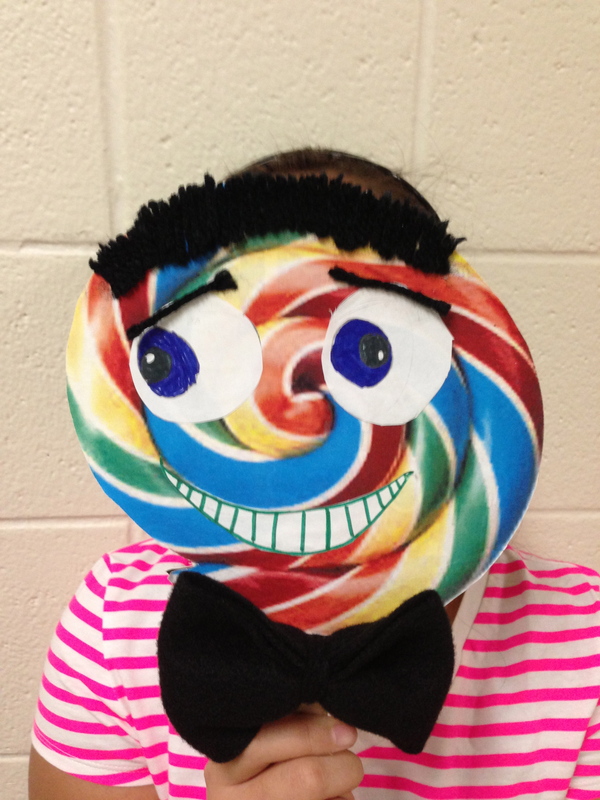 Two of my students were so taken by David’s poem that they made lollipop puppets and went from classroom to classroom throughout the building – hamming it up and performing with a lot of voice and actions to each of his lines. The teachers loved it. David, I am attaching pics of their lollipops. Wish I could send pics showing how cute the students are, but I never post any pics showing their faces or names. You would have been proud of them! Pat did share her young actors holding up their lollipity popity puppets and here they are. I am, of course, enormously pleased and proud of the girls behind those charming masks. Pat, thank you so much for introducing the poem and doing it in such a way that your kids saw the fun of it and had such a fine time. Many thanks!